McLuhan Coach House | Williamson Williamson Inc. 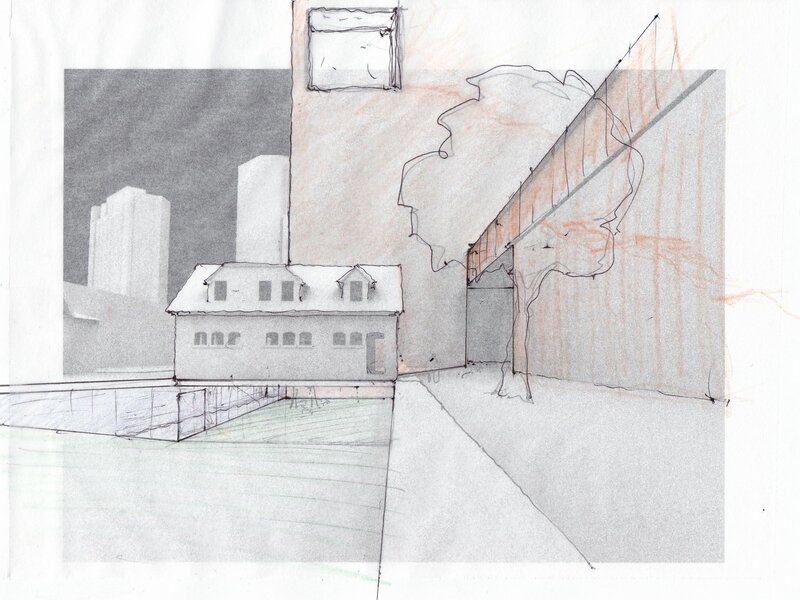 The McLuhan Coach House Institute held a design charrette with the purpose of gathering ideas from a selection of Toronto’s leading architectural and design teams. 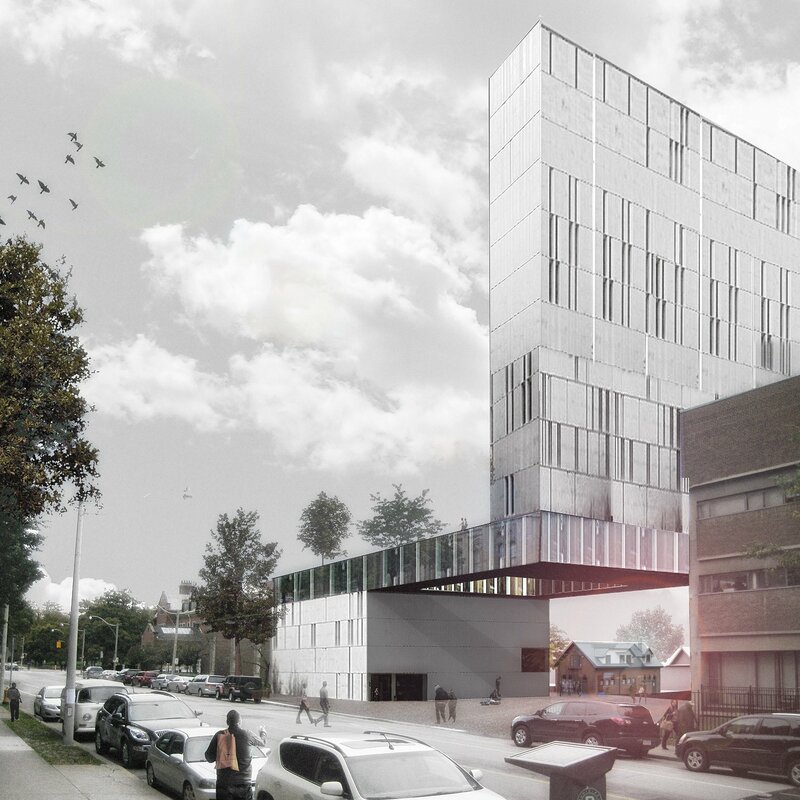 These ideas are meant to be a physical manifestation of the possibilities that might transform the existing Coach House and the surrounding site into a new home for the McLuhan Institute and iSchool on the campus of University of Toronto. Our proposal asked what role does the Coach House have both symbolically and in the larger environment of the Faculty of Information? Given McLuhan’s ‘classroom without walls’ idea, our problem was how to render something concrete when fundamentally we are dealing with a wall-less condition. We therefore proposed a Methodology Solution as well as a Programmatic and Architectural Solution. 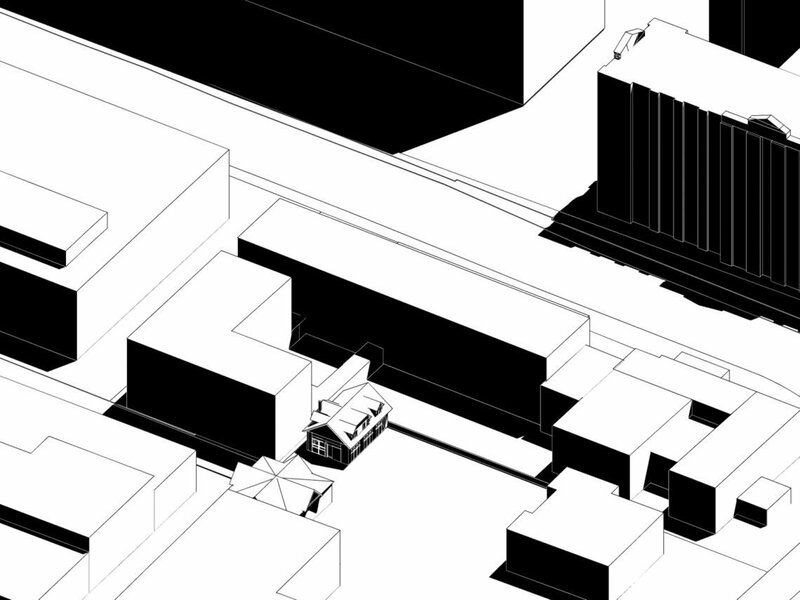 The Methodology Solution encompassed the idea of two types of spaces, White Box and Black Box. These two spaces represent the full spectrum of spaces from the ‘Whitest White to the Blackest Black – with Gray Spaces in between. White Box spaces are non-digital contemplative spaces. Black spaces are collaborative, and open-source digital spaces. Gray spaces may be a combination of both or degrees of each. Using the Processing platform, we would allow users and stakeholders to determine the types of spaces that may be needed during the early programming phase of architecture work. 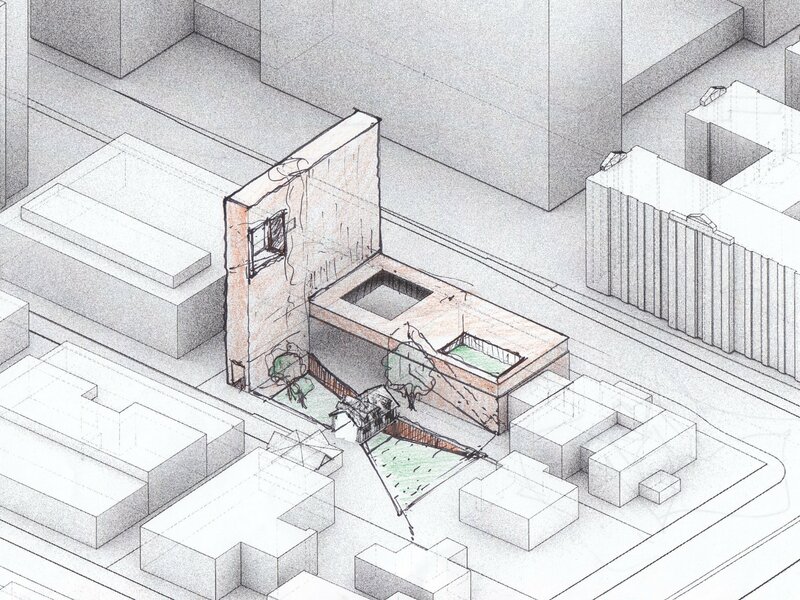 Of particular interest to us was the landscape proposition to slope the existing parking lot below the Coach House – completely removing the ground beneath, allowing us to literally and figuratively bridge between reading the Coach House as a ‘garage’ and a ‘shrine’. The Coach House becomes a White Box space, a threshold across which one can move from the pastoral inner court to the Faculty of Information on Wellesley Street. 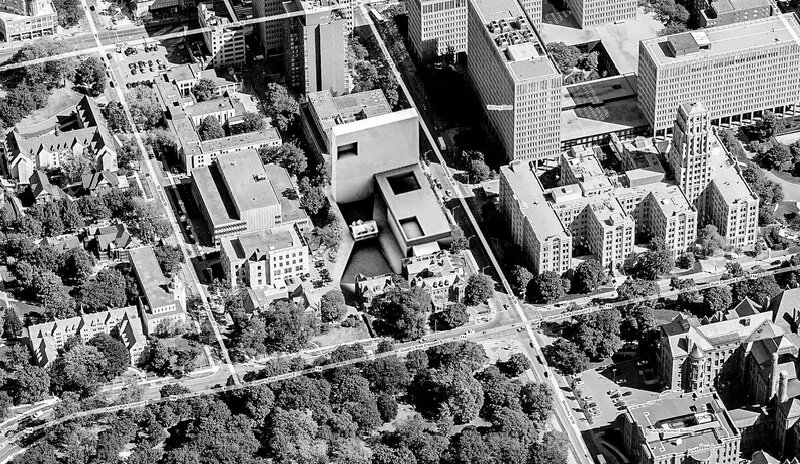 The solution also contained a large laboratory space called the ‘Lab Slab’ (Black Box) and a new low building and tower connected by light filled gallery bridges.